Huawei, pronounced “wah-way”, may not be the first brand that comes to mind when you think of luxury. The Chinese manufacturer is primarily known for its line of affordable Android smartphones. But your opinion of the brand may soon change. After seeing the company’s first smartwatch, I know mine has. 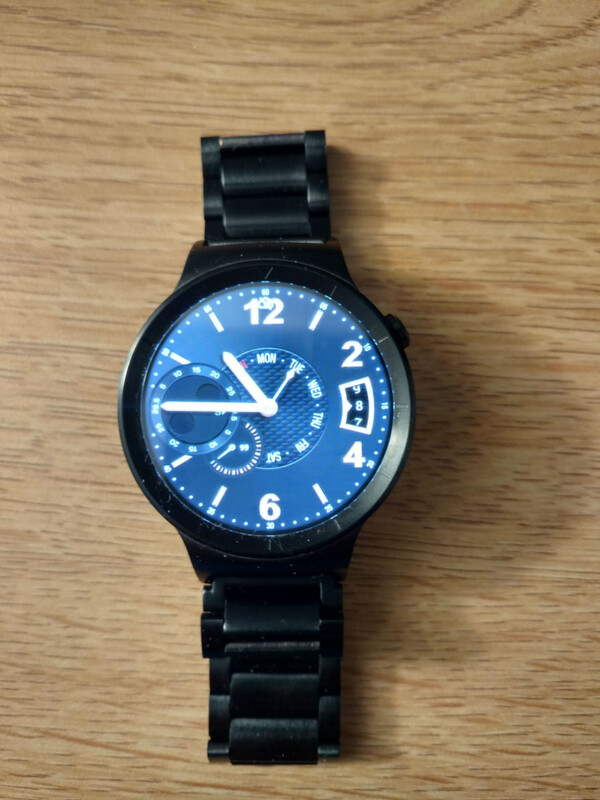 The Huawei Watch was a hotly anticipated premium Android Wear device, it has a fully circular screen, it’s made from expensive materials, and the battery life is actually half decent. Released after the Apple Watch, the Huawei Watch is part of the third generation of Android Wear devices. It’s got a few new tricks that have been picked up from its Apple counterpart, but in truth Google’s wearable OS has plenty up its sleeve and is, in many ways, more powerful than Apple’s watchOS 2. 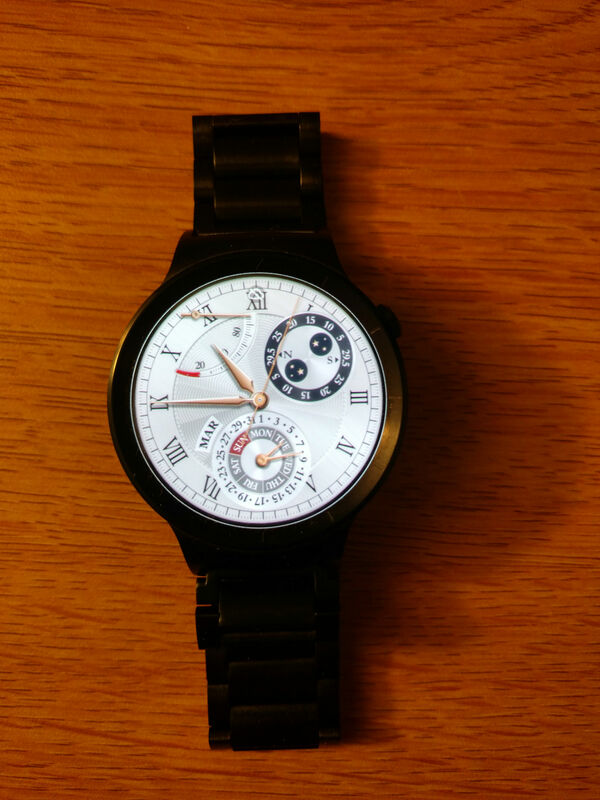 As with all Android Wear devices, the Huawei Watch will work with any Android handset running Android 4.3 or above – and it’ll work with iOS devices running iOS 8.2 or higher. iPhone compatibility is currently limited to a select number of devices, including the LG Watch Urbane, Moto 360, and Asus Zenwatch 2. The Huawei Watch features a fully circular AMOLED display measuring 1.4-inches in diameter. That makes it slightly larger than the LG G Watch Urbane, larger than the 42mm Moto 360, but smaller than the 46mm Moto 360. The device really impresses with a high resolution of 400×400 pixels. That gives a pixel density of 286ppi, which is on par with the Apple Watch’s retina display(290ppi or 302ppi for the 42mm watch). The extra pixels really stand out when putting the Huawei Watch next to other circular Android Wear watches(including the new Moto 360 and LG G Watch Urbane). It’s visibly much sharper, and clearer as a result. It’s our opinion that circular displays are more aesthetically appealing than the square displays of the Apple Watch and Sony Smartwatch 3. It looks more like a traditional, analogue watch, but we understand some people prefer square watches. 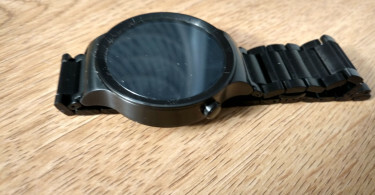 One advantage of having a completely circular screen(as opposed to the Moto 360, with its flat tyre), is the ability to use white watch faces without ruining the design. During my time with the watch I had the brightness setting on level 3(out of 5), I never had an issue with the screen in direct sunlight, but the brightness can be boosted temporarily with ‘Brightness Boost’ if you are having problems. The colors are vibrant, and really pop from the screen. With ambient mode on, after several seconds of inactivity the screen will dim, however, the time will still be displayed with a reduced interface. It’s a useful feature that allows you to view the time without needing to raise your arm and flick your wrist to wake the screen(like with the Apple Watch). The crown button, located at the 2 o’clock position, acts as a home button, also waking and dimming the screen. Positioned where it is makes the button much more ergonomic than having it placed at 3 o’clock, as it requires less rotation of the non-dominant wrist. 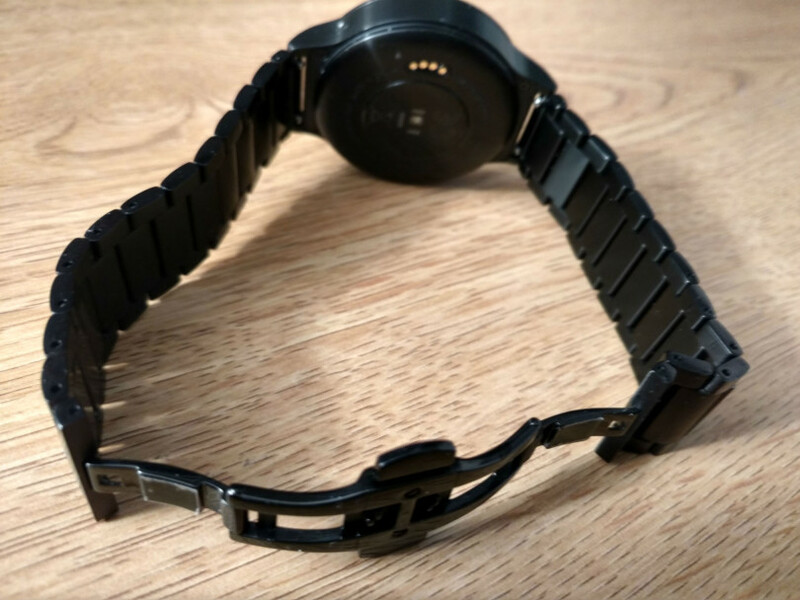 On the rear of the watch you’ll find a centralized optical heart rate monitor and four gold contacts for the charging dock. The Huawei watch is rated IP67, which means it’s dust resistant and will survive half an hour in up to one meter of water. While it’s not necessarily a watch you’d want to wear while swimming, you could happily wear it in the shower or during torrential rain. 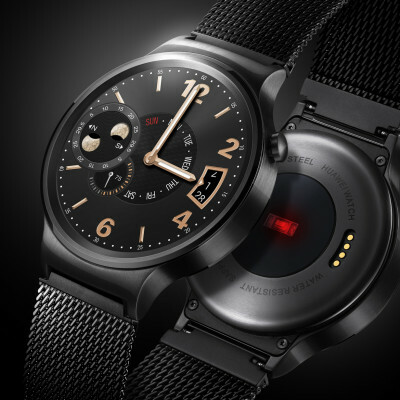 Even though this is Huawei’s first smartwatch, it doesn’t feel like a new product. That’s because most Android Wear watches are basically the same at heart. The hardware and a majority of the features are the same as the Android Wear watches from 2014. 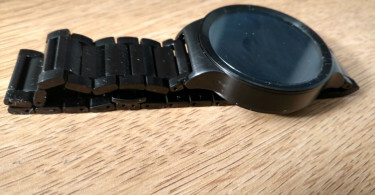 Huawei has clearly invested time and effort into the watch’s beautiful design, but nothing’s changed since it was first unveiled back in March. I would have loved to see NFC, which both the Samsung Gear S2 and Apple Watch include for making mobile payments without the need for your smartphone. Of course, no Android Wear watch currently supports NFC, but mobile payment usage is on the rise. Google recently released Android Pay, an app that allows users with NFC-capable smartphones to pay for items at select retailers. I wouldn’t be surprised if we see NFC supported included in future versions of Android Wear watches, just not this one. 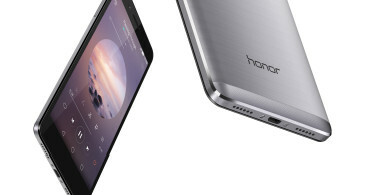 Huawei has equipped the Watch with a 300mAh battery, which is actually quite small for such a thick device. They claim this is good for around two days use with Ambient Mode turned off, and 1.5 days with Ambient Mode turned on. I found this to be more or less correct, depending on usage, although, even with Ambient Mode on, I’d guess you could stretch out around two days usage, if you’re not doing anything battery intensive, such as navigation. Most of this is used by the AMOLED screen and background OS, but in idle the watch uses very little power. 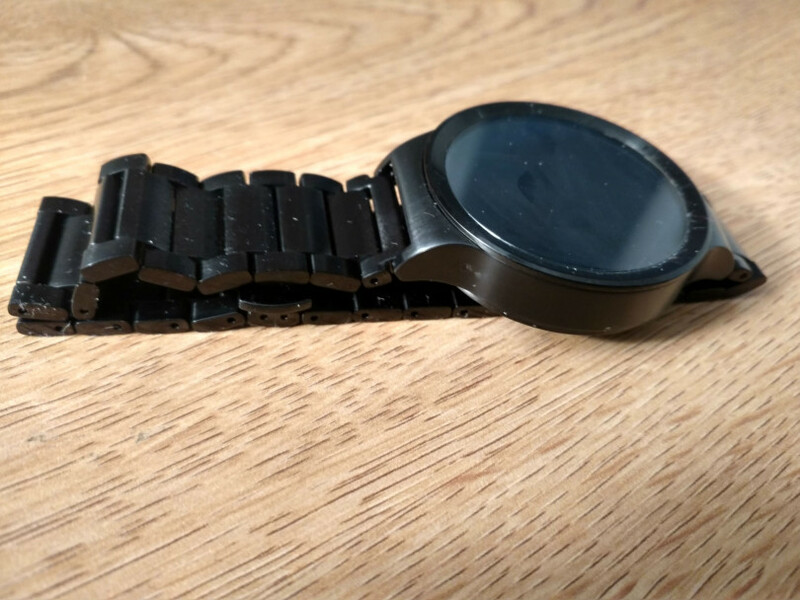 In fact, the smartwatch uses so little power, I charged the watch on Friday, left it on a desk over the weekend, and the device still had power on Monday. The Huawei Watch comes packing a 1.2GHz Qualcomm Snapdragon 400 processor and 512MB of RAM. That might not sound like much, but it’s enough to run Google’s low powered operating system smoothly. There is a perceptible lag when opening apps, perhaps of around two seconds. It’s slightly annoying, but it’s manageable, and only apparent because we’re used to the latest smartphones doing everything instantly. The Huawei Watch has 4GB of storage on board for music and apps. 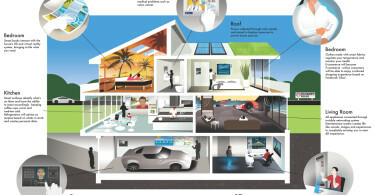 The internal specifications and performance are on par with the latest watches from Motorola, ASUS and Sony. There really is very little to differentiate between them. In terms of sensors, Huawei has included a 6-axis motion sensor(gyroscope + accelerometer), barometer, and the previously mentioned heart rate sensor. There’s no GPS, so it’s not a going to serve as a proper running watch like the Moto 360 Sport, although, with sophisticated styling I’d say it’s more of a dress watch than a fitness wearable. Saying that, it’ll still count your steps and monitor your heart rate throughout the day, feeding that data into Google Fit. 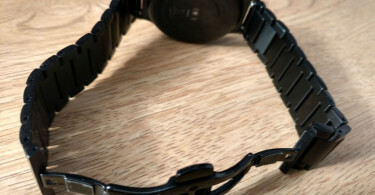 The Huawei Watch connects to your smartphone with Bluetooth 4.1 BLE (which stands for Bluetooth low energy) and also features Wi-Fi. Wi-Fi isn’t new for an Android Wear smartwatch, but it’s a great inclusion, meaning the watch will continue to receive notifications as long as both have access to the internet. 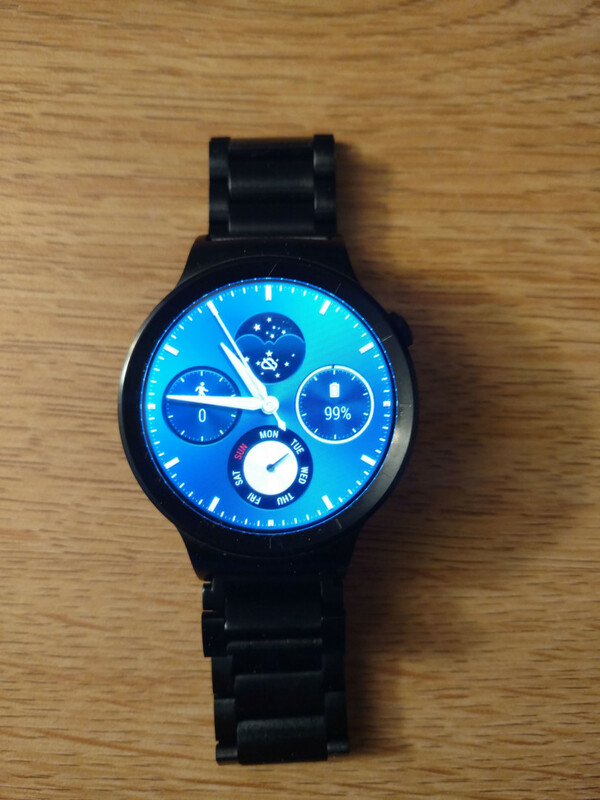 Below are some images of some of the watch faces available on the Huawei Smartwatch. The first three below are stock watch faces that come installed on the device and the last two are made by ThaPhlash. 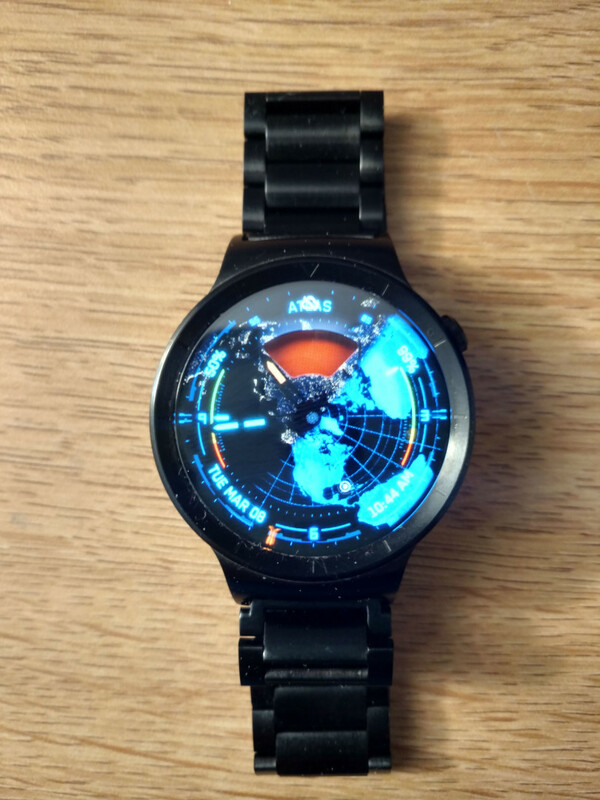 You can find them here: Atlas Watch Face and here: Mercenary Watch Face. The Huawei Watch is one of the best smartwatches in the market, but then again it should be, because it’s also one of the most expensive. The extra money does mean you get more premium materials, build, and specs. 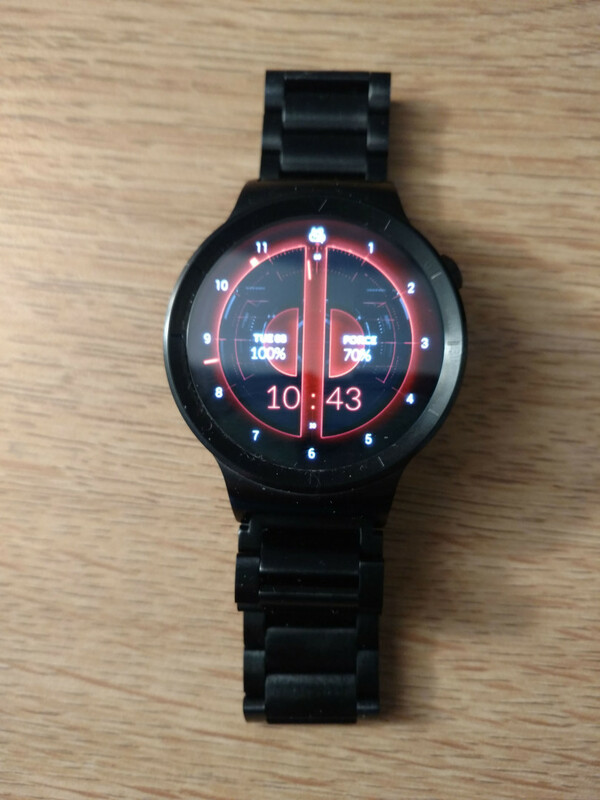 There’s no question the impressive circular screen is one of the best I’ve seen on a smartwatch. Android Wear has improved a lot recently, but it’s identical on all devices, so that price isn’t really buying you any more functionality. It’s a ‘nice’ addition that the current crop of Android Wear watches are now compatible with iPhone, although functionality is limited, and you’re better off with either an Apple Watch, or getting an Android phone. If you’re fully sold on the idea of smartwatches and want the best Android Wear watch around, the Huawei Watch is probably your best bet. 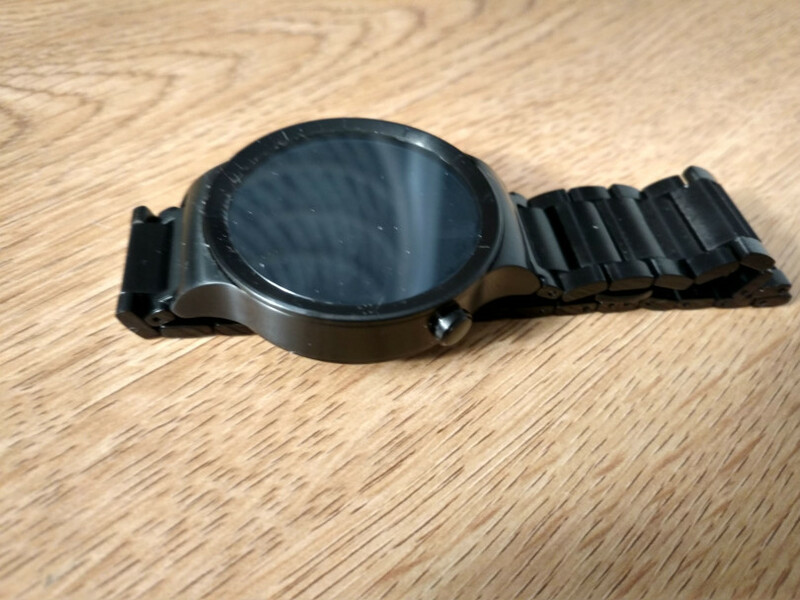 If you’re not so sure, and want to test the waters first, there are cheaper options available with the same functionality and, in the case of the Moto 360, a remarkably similar look.